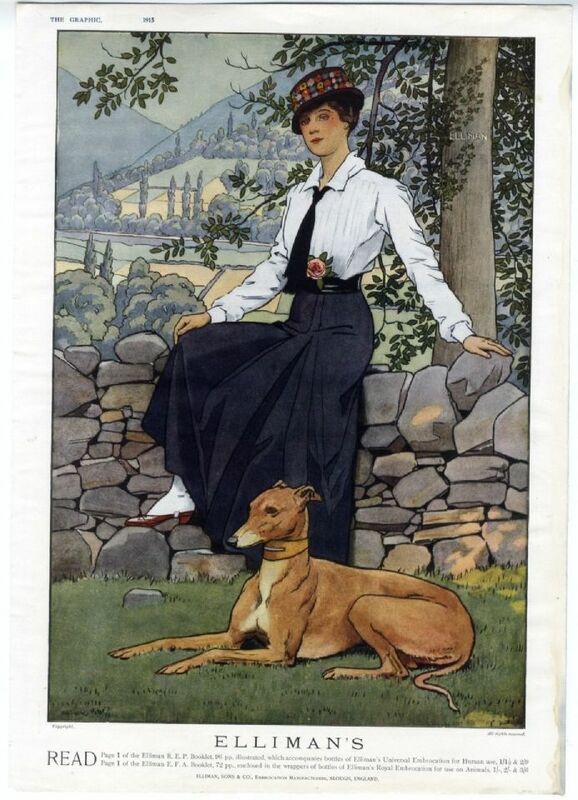 A wonderful full page colour Ellimans Embrocation advert showing a fashionable lady and a Greyhound dog. One the reverse is a page entitled La Guerre de Luxe: History While You Wait. 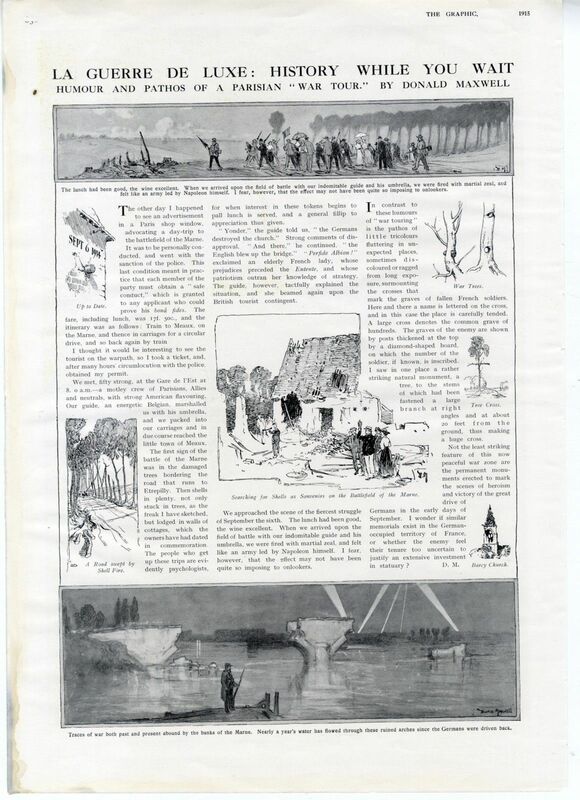 Humour and Pathos of a Parisian "War Tour" By Donald Maxwell and shows various sketches by him with accompanying article. This print is from an original newspaper from the date stated; not a scan and not a later re-print. A publication similar to The Illustrated London News, The Graphic was a weekly illustrated newspaper published by H. R. Baines and Company Ltd of Tallis House, Whitefriars, City of London. The page measures overall 390 x 270 mm (15.25 x 10.75inches ) approx. It is printed on both sides. There is a little age yellowing, and a small area of staining to the border at the bottom but not affecting the printed area .The descriptive text in my listing, details the content in my words and not necessarily what is written on the original page.This item will be packaged in a tube and sent RM small parcels.